Advanced Engineering Mathematics with Maple is the definitive reference software and textbook for engineering mathematics. The only fully electronic book of its kind on this popular subject, it is an essential resource for every engineering professional or student. The author, Dr. Robert J. Lopez, is a renowned professor and Maple expert, who has pioneered the instructional use of Maple for general and engineering mathematics. This comprehensive text covers all major areas of engineering mathematics. As an interactive electronic book, the reader can interact with the mathematics and graphs in the book, exploring parameters, running what-if scenarios, and modifying examples to solve specific problems. 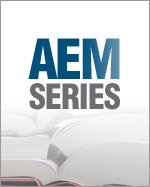 The AEM E-Book can be purchased in the Maplesoft web store.